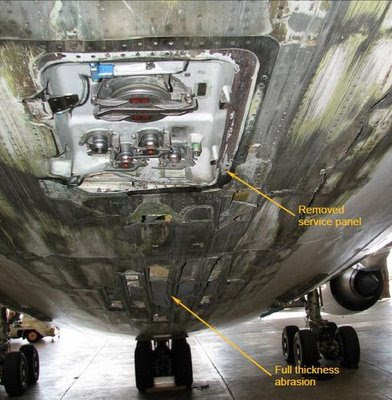 On 20 March 2009, an Emirates A340 aircraft, with 275 passengers and crew on board, was involved in a tail strike accident during takeoff from Melbourne, Australia. The aircraft suffered some damage, but there were no injuries to anyone on board. The Australian Transport Safety Bureau (ATSB) recently released preliminary findings that indicated that an incorrect weight had been used when making performance calculations prior to departure. The calculations were based on a takeoff weight that was 100 tons below the actual takeoff weight of the aircraft. This is the first accident involving an Emirates A340. Previously, in 2004, there was an Emirates A340 incident involving a runway overrun in Johannesburg, South Africa. What sets this preliminary report apart from most is that the ATSB releases substantially more information at this stage than most accident investigation authorities. While the NTSB sometimes releases this level of preliminary information for major accidents that have tremendous media attention, it has not provided that kind of detail for other kinds of accidents. Below are links to an audio of the ATSB press conference about the release of this report, a summary of the accident, and other accident details.